Hey, Coach, put us in! Second in a series of previews for the June Test Season. 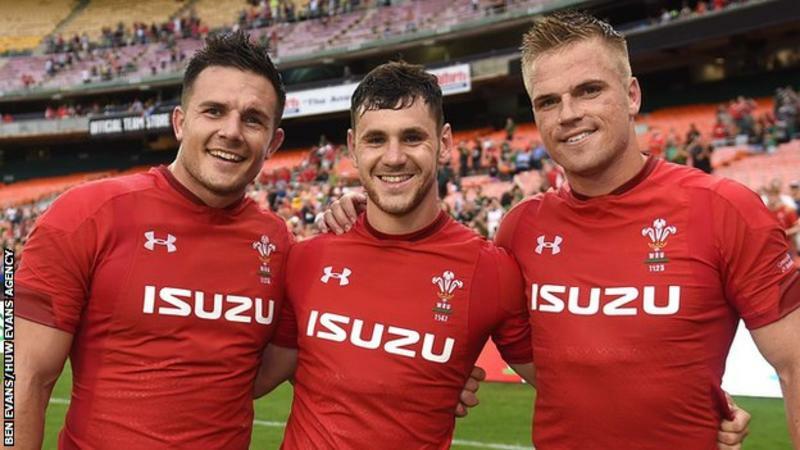 Wales surprised as they finished second in the Six Nations, and were a few plays from inexplicably winning the tournament. Despite a rash of significant injuries they found more strength in their ranks than even they could have hoped. At the same time, Wales are a team in transition in both style and senior personnel. The situation is fascinating in terms of how the squad settles into place, and whether the quality of their depth can hold up to a southern hemisphere examination. If so, Wales are a side that can harbour sneaky ambitions for the coming year. Front row depth needs attention, as Evans-Owens-Lee has never been easier to select, if fit. Players are getting some chances and need to show they can stand up at this level. Who leads without Alun and Sam? Big questions exist around on-field leadership with this squad, though Ellis Jenkins showed real class this past weekend against South Africa. Gatland has to be giddy about his game and his leadership. Parkes similarly eases doubts, as his ability to instantly right the ship when he came on shows. Can Ross Moriarty regain his edge, as the speed premium among back row players continues to emerge? They need to settle on their next fly-half, but this set of Tests is the perfect chance for the ongoing auditions. Patchell deserves a chance to improve on those areas where he stumbled a bit in the Six Nations, given the threat he presents with ball in hand. Gatland also should relish the chance to play Tomos Williams far from home. The Rhys Webb eligibility debacle could not have been worse, but Williams looks tasty. Fate has intervened and George North will play 14 where he belongs. Steff Evans going down ensures Gatland and Howley cannot be tempted to undermine North just as he shows a bit of hunger and liveliness again. This year may well be the perfect year for Wales to go to Argentina, where the lights are a little less bright and they can keep experimenting and evolving. While Argentina continue to be very good for rugby, they simply need to show more consistent form. Out of nowhere the Jaguares have become a winning side in Super Rugby, and one hopes they build all the way through to Japan. On club form, Argentina could aspire to finish as high as second in the upcoming Rugby Championship. North pick up someone and carry him with the ball. A split Test series, as we want both teams building momentum one year out. Argentina return to the expansive and sharp play they used to crush Ireland in the World Cup quarterfinals in 2015. These two tests fall into the ‘performance matters more than results’ for both sides, though Argentina should fancy taking both Tests if they can minimise mistakes and show more discretion with offloading. Wales could just as easily take both, though, particularly if emerging first-line players rise to the occasion. While some may see predicting a split as a cop-out, that prediction seems like the best one at the moment.